Oh how I love a pretty violet purple! 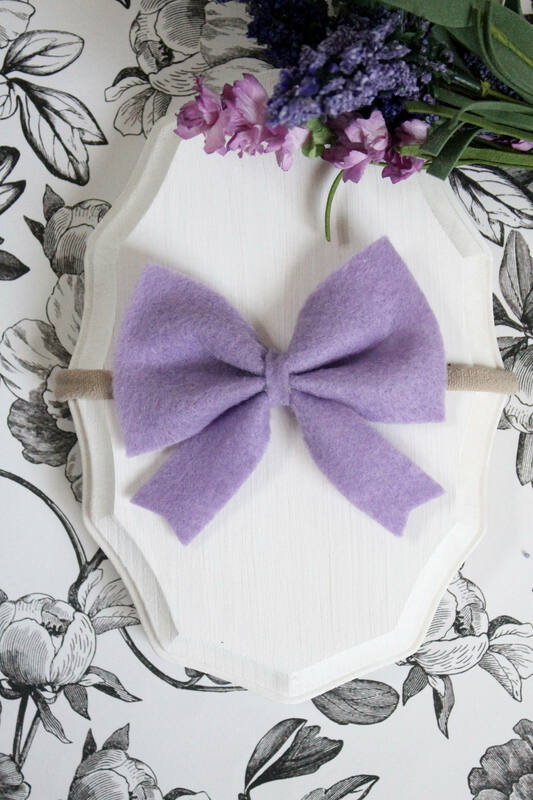 This felt bow is approximately 4 inches across and fits nice and snug on any babies head. It is one of my personal favorites that I put on my babies head!